The practitioners at CT Healing Center work with you to heal mind and body. Jennifer is a licensed clinical social worker specializing in child and adolescent psychiatry. She has 23 years of experience working with children and families. Jennifer has specialized training in trauma treatment, addiction treatment, Dialectical Behavioral Therapy and Cognitive Behavioral Therapy. Jennifer graduated with her MSW from Simmons School for Social Work. 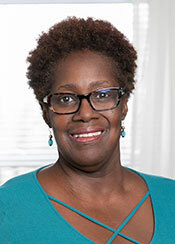 She is the founder and Executive Director of Connecticut Healing Center. Jennifer has been in private practice for 19 years providing individual, family and group psychotherapy. Specialty areas include adolescent depression, treatment for ADD/ADHD, trauma, impulse control disorders and a variety of spectrum disorders. She is additionally employed by the Yale New Haven Hospital Psychiatry Department. 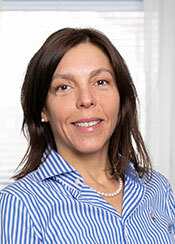 Prior to Yale, Jennifer was the Director of Child and Adolescent Psychiatry Service at the Hospital of Saint Raphael. She was responsible for the overall clinical and administrative operations of the Child and Adolescent Psychiatric Services including all inpatient and ambulatory psychiatry programs. Jennifer previously conducted child abuse assessments and crisis intervention in pediatrics, pediatric ICU, NBICU, Burn Unit and ED at Bridgeport Hospital. She also has experience working in child protection agency, DCF and residential treatment center in Massachusetts.